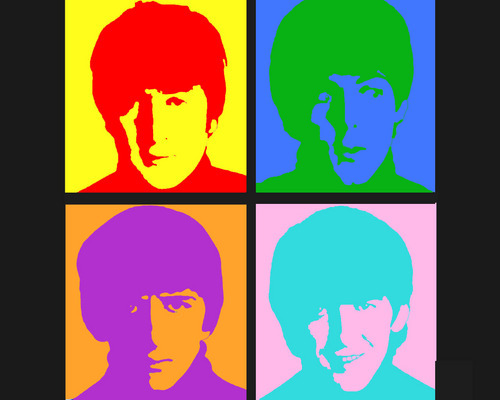 Warhol Inspired. . HD Wallpaper and background images in the the beatles club tagged: the beatles fab four paul George john ringo. The George one messes with my eyes.